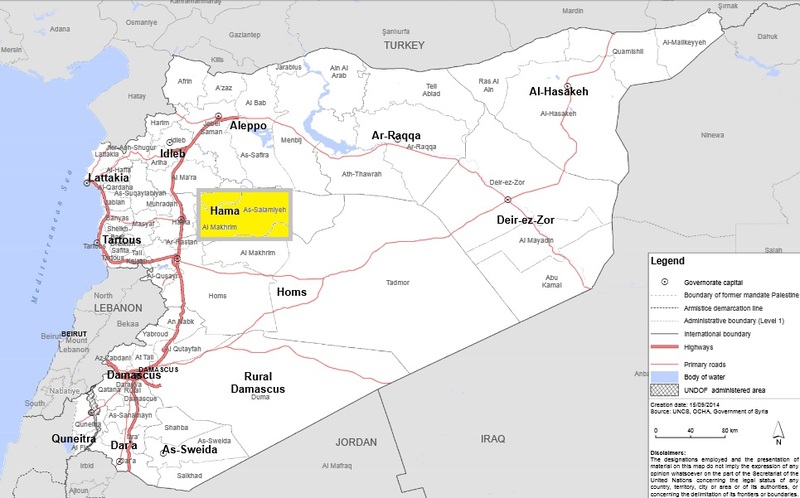 Salamiyah and surrounding areas shaded in yellow. Map: Adapted by Simerg from a map produced by the UN Office for the Coordination of Humanitarian Affairs. Please click for enlargement. In a special post on January 30, 2013, we had mourned the death of numerous members of the Jamat who were brutally killed in Salamiyah, Syria, by suicide bombers. Simerg had paid tribute to these Jamati members with a thoughtful poem (republished below), and sincerely hoped and prayed that peace would return to Syria. For those not familiar with Ismaili history, the groundwork for the establishment of Fatimid Caliphate over a thousand years ago was laid in Salamiyah — such is its importance and place in Ismaili history. The 11th Imam, al-Mahdi, set out from Salamiyah in the late ninth century for the long 3,500km caravan journey to Sijilmasa in North Africa, as a first step in establishing the Caliphate. For over 1200 years, Salamiyah (pop. 187,123, by 2004 census) has been home to tens of thousands of Ismailis, who have lived peacefully, side by side, with Sunni and other Shia Muslims as well as the non-Muslim communities. Indeed, the Ismaili Imamat projects in Syria are designed for the well-being and progress of the entire Syrian nation. The recent beheadings of Westerners, as well as deeply humiliating treatment, torture and beheadings of Shia and Sunni Muslims opposed to IS (Islamic State), including the burning of a Jordanian air pilot captured by ISIS militants, indicate that the ISIS acts of barbarism are not likely to cease. A view of Salamiyah. Photo: Wikipedia. This is very worrying for all residents of Salamiyah, and everyone around the world who have family members in and around Salamiyah and elsewhere in Syria. We pray for the souls of all those individuals who have lost their lives, and assure the Syrian Jamat of our constant prayers for their strength of faith and courage at such a difficult time in their history. We sincerely offer prayers that peace returns to their homeland soon. This can only occur when political leaders who are opposed to each other come together for the greater welfare of people of Syria. Dialogue, which has failed in the past, is the only solution for peace and long-term stability in the country. Compromise is an essential component in this process towards stability and peace. Date posted: Sunday, April 5, 2015. Last updated: April 5, 2015 (quote from a letter from Muslim scholars to ISIS). Note: The poem by Elia Badrudin was originally published on January 30, 2013 following the deaths of several Ismailis from a suicide bomb attack in Salamiyah. English text of complete letter to ISIS at http://www.lettertobaghdadi.com/14/english-v14.pdf. 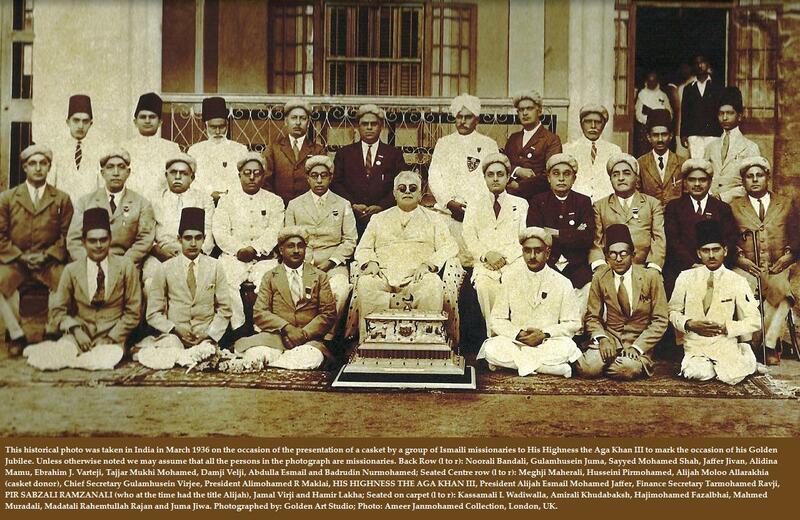 Great Moments in Ismaili History: The Establishment of the Fatimid Caliphate by Jehangir A. Merchant. Please note that Simerg is an independent initiative. It is not affiliated with any organizations or institutions, and thus the views expressed here are those of the authors.